Product prices and availability are accurate as of 2019-04-19 03:47:34 UTC and are subject to change. Any price and availability information displayed on http://www.amazon.com/ at the time of purchase will apply to the purchase of this product. This book offers a comprehensive and practical guide to the child and adolescent psychiatric interview, providing an outline of how first to elicit data from younger patients and their families, then how to organize and integrate this information to form a definitive program of care. 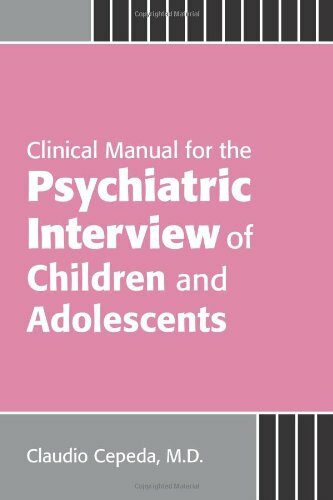 Clinical Manual for the Psychiatric Interview of Children and Adolescents shows how to focus the exploration of common psychiatric syndromes while offering guidance in such matters as general principles of interviewing, use of the AMSIT in mental status examinations, and evaluation of both internalizing and externalizing symptoms. The manual is exceptionally practical, illustrated with clinical vignettes and enhanced with quick-reference tables that summarize key points. In addition to covering the psychiatric evaluation, it also brings users up to speed on such topics as neuropsychiatric assessment, psychiatric formulation, comorbidities, resistances, and countertransference. 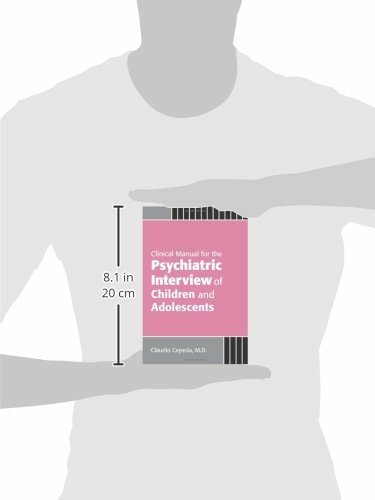 It expands greatly on the coverage in the author s previous book Concise Guide to the Psychiatric Interview of Children and Adolescents, and features new chapters on engagement, special techniques, assessment of the family, providing feedback to families, and special populations.